Ink agitators stir the ink stored in printing presses. An ink agitator is a supremely useful piece of technology. Copiers and printers and other office equipment of their like typically require large amounts of ink. Whether on a daily, weekly, or monthly basis, your ink reserves can be depleted and and will need to be replaced. Depending on how viscous, or thick, your ink is, it may need to be stirred. This stirring is the basis of an ink agitator. Read on to learn more about them. What Does an Ink Agitator Even Do? Ink agitators stir the ink stored in printing presses. Whenever the fountain of ink runs out, waste of both paper and ink is the result. Ink will naturally flow away from fountain rollers, which cause the fountain itself to run low on ink much faster. An ink agitator can prevent this from happening. How Does an Ink Agitator Stir the Ink? A constantly spinning cone or blades skirting across the fountain help form the basis of the agitation mechanism to stir the ink. Why Does My Office Need One? 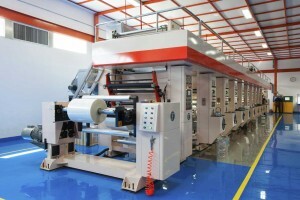 They fit easily into offset printers, and can stir up the thicker colors of ink. Yellow ink, for instance, tends to be more viscous than the other colors. What Are the Actual Benefits of Ink Agitators? Saves money: Ink agitators save money by reducing paper waste. Be more efficient with all of your resources: paper, ink, and time. Paper waste is bad for your bottom line, and harmful to the environment, too. Prevents skin on ink: A so-called “skin” forms on ink that goes unstirred for too long. Once ink congeals, it becomes harder to work with and can clog up ink wells, fountains, and cartridges. When these elements, especially fountains, run out of ink, it can be costly to replace. An ink agitator presents a low-cost alternative that can reduce frustration much more easily. Low maintenance: One of the best benefits of an ink agitator is that it is so low-maintenance. Much like many other pieces of equipment, it will need the occasional cleaning. But that cleaning doesn’t have to be often, allowing you to get on with your busy workday. This entry was posted on Wednesday, May 24th, 2017	at 12:47 pm	and is filed under Equipment handling	. You can follow any responses to this entry through the RSS 2.0	feed. Both comments and pings are currently closed.